Since April 21, people who bought a Galaxy S8 phone have been walking around with an unfinished product. The device comes with its own dedicated Bixby button, but until today it didn’t properly work for most users. It’s unclear how functional the AI is today, but Samsung has said it will grow with users the more often it’s used. 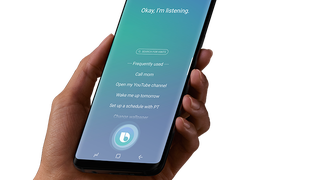 Late to its own party, Samsung is now attempting to coax people into using Bixby by offering them points. S8 users who use Bixby will earn experience points (XP) the more they engage with it. Those points can then be exchanged for prizes such as Samsung products, gift cards, and trips. It’s the least Samsung can do after bungling Bixby’s launch. The promotion will last until September 14.